The season of fall brings cooler weather and shorter days. As with any season, the world adjusts accordingly. Plants begin to go dormant, animals start scrounging for food to help get them through the upcoming winter months and humans start winterizing everything. Sweatpants and hoodies become more commonplace and everything…EVERYTHING is pumpkin flavored. 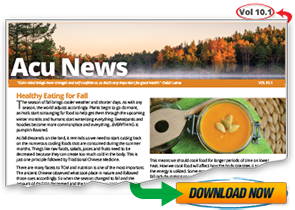 Healthy eating for Fall is important to prepare ourselves for Winter. When we follow the cues given to us by nature, we can maintain a very healthy existence. To learn more about eating according to the seasons in Traditional Chinese Medicine, book your session here.